August 23, 2018 – Do you wish you could decrease your waistline? Reducing abdominal obesity can lower health risks – but despite claims you may have seen on the Internet, no trending diet can help you specifically eliminate belly fat, according to an article in ACSM’s Health & Fitness Journal®, an official journal of the Wolters Kluwer. “There is still no miracle diet, food, nutrient, or bioactive component that will target abdominal fat,” writes Kari D. Pilolla, PhD, RDN, of the California Polytechnic State University in San Luis Obispo. But a heart-healthy diet high in fiber and low in saturated fats is a great way to prevent and reduce abdominal obesity, according to the article, part of a special theme issue of ACSM’s Health & Fitness Journal, focusing on Nutrition. Amid the ongoing obesity epidemic, there is increasing attention to the health risks associated with abdominal obesity – excess fat stored around the abdomen. According to the most recent data, 54 percent of Americans have abdominal obesity, while the estimated average waist circumference is growing. “Independent of body weight, a larger waist circumference increases risk for cardiovascular disease, diabetes, and metabolic syndrome,” Dr. Pilolla writes. These risks are mainly related to visceral adipose tissue – fat stored below the abdominal muscles, surrounding the major internal organs. Visceral adipose tissue appears to be more “metabolically active” than subcutaneous fat, stored under the skin but above the abdominal muscles. The good news is, some diet characteristics appear helpful in reducing or preventing abdominal obesity – particularly lower intake of trans and saturated fats and higher intake of fiber. 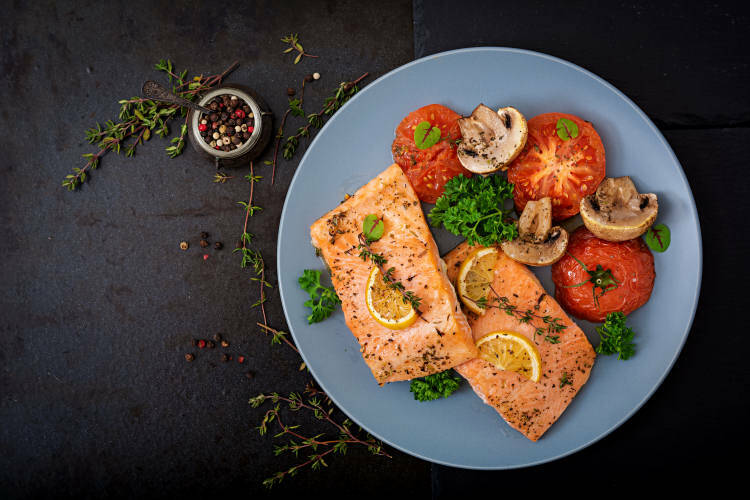 “These recommendations are consistent with heart-healthy diets like the NIH-developed Dietary Approaches to Stop Hypertension (DASH) diet and the Mediterranean-style diet,” Dr. Pilolla writes. Her article includes information on these diets – both great options as part of a weight loss program including diet and/or exercise, as recommended by the ACSM. The theme issue addresses a range of nutrition-related topics of interest to health and fitness professionals, including food and fitness for active older adults, sport nutrition to optimize performance, the benefits of a “food first” approach for athletes, potential harmful effects of common diet trends, and diet and exercise steps to a healthier gut. Laura Kruskall, PhD, RDN, CSSD, LD, FACSM, FAND, of University of Nevada, Las Vegas, is Guest Editor of the special issue. ACSM’s Health & Fitness Journal®, an official publication from the American College of Sports Medicine (ACSM), is written to fulfill the information needs of fitness instructors, personal trainers, exercise leaders, program managers, and other front-line health and fitness professionals. Its mission is to promote and distribute accurate, unbiased, and authoritative information on health and fitness. The journal covers all aspects of exercise science and nutrition research, with components of ACSM certification workshops, current topics of interest to the fitness industry, and continuing education credit opportunities. We are the American College of Sports Medicine – with more than 50,000 members and certified professionals strong from 90 countries around the globe. Representing 70 occupations within the sports medicine field, ACSM is the only organization that offers a 360-degree view of the profession. From academicians to students and from personal trainers to physicians, our association of sports medicine, exercise science, and health and fitness professionals is dedicated to helping people worldwide live longer, healthier lives.